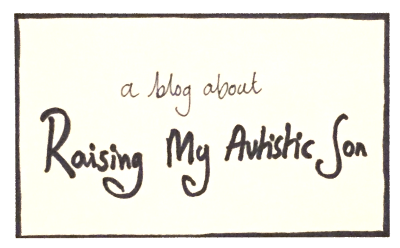 Welcome to the first in my series of interviews with bloggers who are #actuallyautistic. As a non autistic parent of an autistic child I’m always interested in reading and learning about autism from the perspective of someone who lives it 24/7. When did you find out you had autism? I found about my Autism when I was ten years old. I always knew that I was different and asked my mom why. She got a piece of paper and explained her strengths/weaknesses on one side and mine on the other. She explained that I have strengths and things I need to work on. If you have to explain that you are autistic, what do you say? I say that I have a disorder called Autism, which affects my social interactions and emotions. I tell them that being Autistic is okay! What things have made life easier for you? Things that have made my life easier are therapy and family support. I’ve been to ABA, speech, and occupational. I still today go to a clinical psychologist and psychiatrist. My family is my rock and they always support me. My mom has a PhD in clinical psychology which helps a lot. What things do you find challenging? The things I find most challenging are my lack of social skills and uncontrollable emotions. I only have one friend who goes to a different school than me. I also still have trouble with controlling certain emotions (which I have gotten better at with age). What advice would you give to younger autistic children? My advice is to always remember that everyone has a mountain to climb in their life, and Autism is their mountain. Never give up and never say you can’t do something because of Autism. I started my blog in March 2017, but my first post was April 14, 2017. I started blogging first as a business, which quickly turned into a passion project. 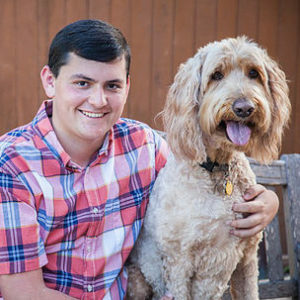 My goal is to help people in the Autism community including individuals on the spectrum, parents, caregivers, educators, and providers by sharing my personal experiences, insight, and advice. My hopes for the future are to have a world with 100% Autism Acceptance! Personally, after high school, I want to get my Bachelor’s degree, Master’s degree, and start my own business. I hope you enjoyed this short interview and join me in wishing Ethan the very best for his future hopes and plans. Don’t forget to check out his blog – The Journey Through Autism which I’m sure is helping to make the world a more accepting place for autistic people. If you are autistic and you write a blog (your blog doesn’t have to be about autism by the way!) then please get in touch if you would like to be featured in this series. Thank you. Accessibility -it’s good for everyone! Thank you Lynne for the interview about me and my blog, The Journey Through Autism (www.thejourneythroughautism.com)! It was a pleasure Ethan – I hope people find your blog and you gain some more followers – best wishes to you.